The rain may be falling on the Pacific Northwest and the latest nor’easter may be blowing down on New England, but it is spring. How do I know? Baseball is back! In less than a week, major league teams from coast to coast will strap it on for another six-month campaign. Are spirits high? Does hope abound? Yes, and yes. That’s the meaning of the season of renewal. 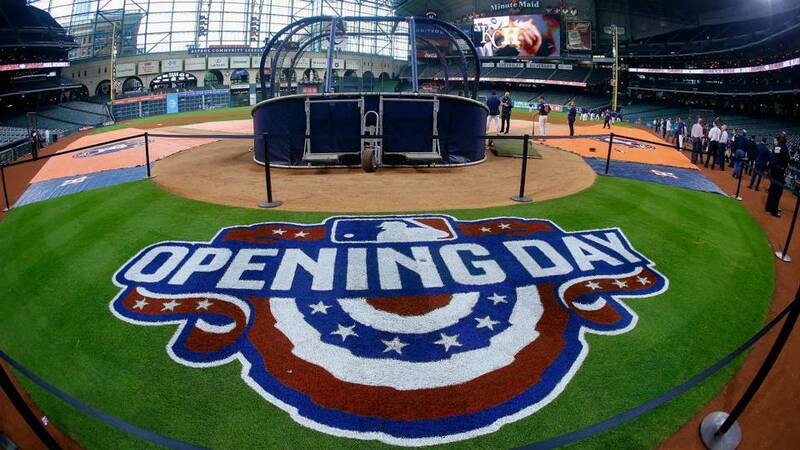 It’s what makes every baseball fan’s heart glow at this time of year. Right now, it doesn’t matter that your team may be buried by Memorial Day. That’s glass half empty stuff. No, the end of March is about hope and confidence, the more irrational the better. After all, your team hasn’t lost a game. Maybe, they won’t! Ah, glorious hope. Today, your Gildshire latest sports news friends open up our crystal ball on the topic of Baseball 2018, American League style. The Baseball 2018 crystal ball predicts the Yankees to win the A.L. East. American League East: Baltimore Orioles, Boston Red Sox, New York Yankees, Tampa Bay Rays, and Toronto Blue Jays. Who do we see as teams on the rise? Well, the Yankees outspent everyone by signing slugger Giancarlo Stanton. He, in combination with Aaron Judge, may combine to hit a jillion home runs. That kind of power surge alone should add some wins to the Yankees’ end-of-season totals. Look for improved health and a subsequent improvement in the standings for Toronto. Who do we see in decline? Tampa Bay shipped off some of their brightest, replacing them with question marks. Who wins the American League East in our Baseball 2018 crystal ball? The New York Yankees. Who wins the American League Central in our Baseball 2018 crystal ball? The Cleveland Indians. American League West: Houston Astros, Los Angeles Angels of Anaheim, Oakland A’s, Seattle Mariners, and Texas Rangers. Who do we see as teams on the rise? The L.A. Angels made one of the splashier off-season moves when they signed two-way player Shohei Ohtani from the Japanese League. “Two-way player? The devil you say.” It’s true. Mr. Ohtani is said to be able to throw a baseball 100 miles per hour and hit with the league’s best. Not since Babe Ruth have we seen such a thing. At least, that’s the hype. The Spring Training reality has been a little different. In fact, Ohtani may start the season in Triple-A. That said, the Angels should improve from last season’s 80 wins. Who do we see in decline? Texas has too many questions in their pitching staff to be counted on for a playoff run. Who wins the American League West in our Baseball 2018 crystal ball? The World Champion Houston Astros should repeat, at least when it comes to the division. However, the Indians are our call to win the pennant. My pleasure. We see the Indians, with the weakest division, to have the league’s best record. They will have home-field advantage throughout the playoffs, as long as they are alive. We think New York nudges out Houston for the second-best record. That means Cleveland beats Boston who won the Wild Card game. Houston over the Yankees in the Divisional Playoffs, but the Tribe wins the Championship Series, representing the American League in the Fall Classic. For that, you will have to wait until our National League Baseball 2018 preview, coming next Monday. We may be your favorite online sports magazine, but we’re not above being a tease.